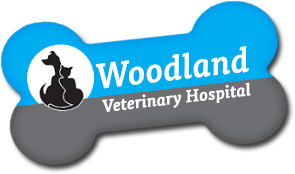 For over 40 years, the caring and compassionate staff at Woodland Veterinary Hospital have been providing outstanding veterinary medical care to the pets of Woodland, CA and exceptional service to their loving owners. We are a full service veterinary clinic serving dogs, cats, pocket pets and the occasional reptile. At Woodland Veterinary Hospital, we understand the integral role your animal companion plays within your family, and we strive to continue to nurture those bonds with every interaction that we have. We look forward to welcoming you and your pet to our office very soon! We are also happy to announce winning the Best of Yolo County Awards for both our veterinary hospital and kennel for multiple years! Woodland Veterinary Hospital is open for emergency veterinary services on weekdays until 9pm and weekends until 6pm. Please be advised our doctors are on call for emergencies and technicians are not staffed overnight. From Sacramento and Natomas: take I-5 North and exit Main Street, turn left, and turn left on Matmor Road. From Arbuckle, Williams, and other Northern areas: take I-5 South to 113 South, exit Main Street, turn left, and turn left on Matmor Road. From Davis: take 113 North, exit Main Street, turn left, and turn left on Matmor Road. We have been taking our animal's here for over 25 years and we love it. Everyone is so nice and friendly. They are great with our dog and cats. I thank Woodland vet, and especially Dr. Larson from the bottom of my heart for her kind care of my 13 year old cat and me last night. My cat needed to transition to the other side last night, and Dr. Larson couldn't have been nicer about walking me through options and the process. WVH has taken care of my 4 cats for the past 11 years, and treated me with care and concern when I had to put 2 of them down. They helped me decide when it was time for each of them to go, which I appreciated very much.